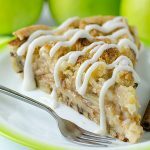 Apple Cinnamon Baked Oatmeal – moist, delicious, healthy, gluten free breakfast, perfect way to start your day! 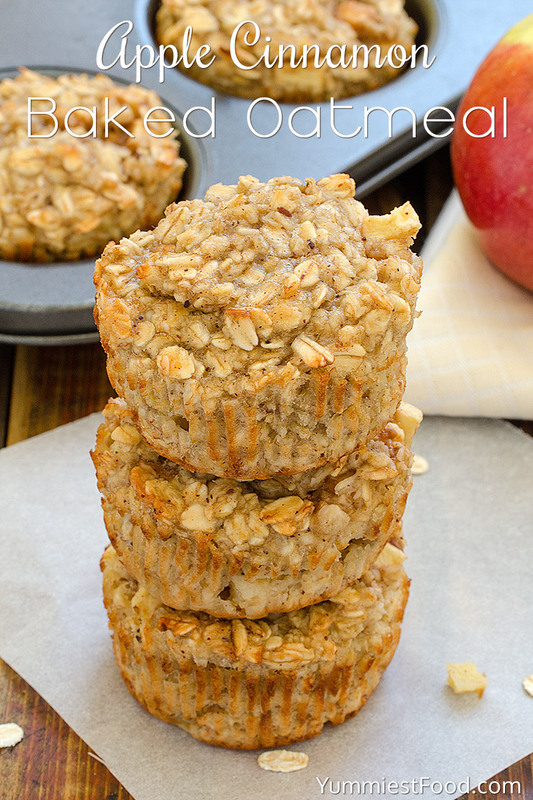 Apple Cinnamon Baked Oatmeal is the best healthy snack you’ve ever tried! Oats, we all know that they are healthy and that we need to eat them often, but many of us don’t like them. I think that oats could be very tasty if we prepare them with our favorite fruits. My choice are apples in combination with cinnamon. For a short time you can get very healthy and delicious breakfast. 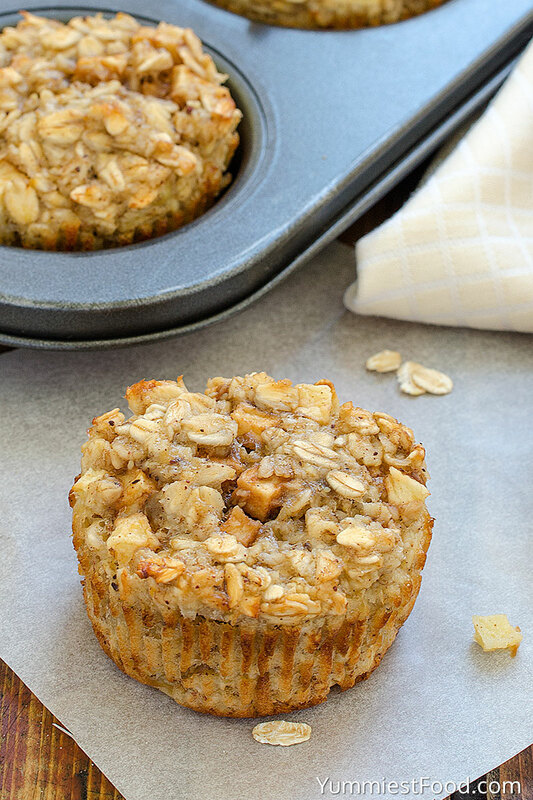 What can we prepare better for breakfast then Apple Cinnamon Baked Oatmeal? 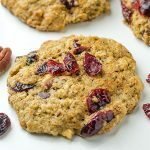 If you take care of your weight, I am sure that you choose pastry for breakfast to get a lot of energy, but I am pretty sure that this Apple Cinnamon Baked Oatmeal can give you more energy than pastry. I prepare these Oats very often in my kitchen and my children love them very much. Apple Cinnamon Baked Oatmeal is the best choice to start your day. You can prepare this breakfast on many different ways and every time they are delicious. Oats are gluten free, have lots of vitamins, antioxidants and these are facts which are very important for our children to get a good immunity. Apple Cinnamon Muffins are my recipe and every time I made it, I add something new. This is the perfect, easy and delicious breakfast. You need only a few ingredients for example rolled oats, bananas, egg, milk, cinnamon, baking powder, salt and apple. Many of ingredients you have in your kitchen. You need to preheat the oven to 375F, line standard muffin pan with 12 liners and set aside. In a medium bowl you need to mash banana with a fork. Then, you need to beat in the egg and add rolled oats, baking powder, cinnamon, milk and salt. Stir until well combined and add the diced apple, then stir again. Divide the batter into the prepared muffin pan and bake for 15 minutes, or until toothpick inserted in center of muffin comes out clean. Enjoy! Apple Cinnamon Baked Oatmeal - moist, delicious, healthy, gluten free breakfast, perfect way to start your day! 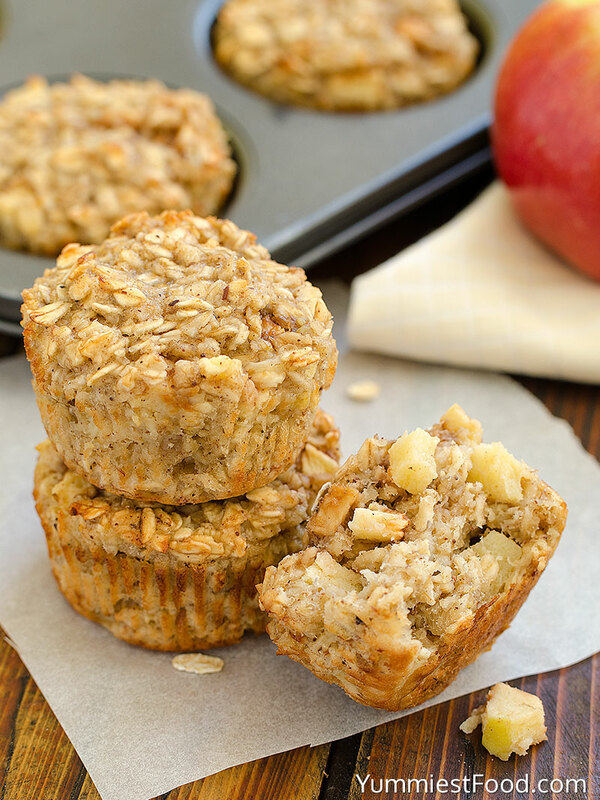 Apple Cinnamon Baked Oatmeal is the best healthy snack you’ve ever tried! Then beat in the egg and add rolled oats, baking powder, cinnamon, milk and pinch of salt. Stir until well combined. Add the diced apple. Stir to combine. Divide the batter into the prepared muffin pan and bake for 15 minutes, or until toothpick inserted in center of muffin comes out clean. Thank you Eloise, for such a nice comment! I’m extremely allergic to bananas can I use something other than bananas in the recipe. Hi Melissa, you need to use bananas for these Oatmeal cups. Hi Bonnie, I would try omitting the banana and replacing it with 1/4 cup applesauce and 1/4 cup liquid sweetener maple syrup or honey. It takes away the “no added sugar” aspect, but if you take away the banana you need something to add sweetness. Please let me know if you try it! Thank you, I needed a substitute for bananas, as my daughter is Highly Allergic to Bananas! You could try using silken tofu, canned pumpkin, or even applesauce, but applesauce is much wetter than mashed banana. Good luck. These look so yummy! Do you think they would freeze well? Hi Kate, you can freeze these Oatmeal cups. The taste will be the same. Enjoy! You’re welcome! 🙂 Thank you Sara, for such a nice comment! Hi Andrew, you can get 12 muffins. Each muffin has 135 calories. Enjoy! How many muffins are a serving? 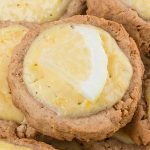 I am looking forward to making these, they look yummy. Hi Yvette, you can get 12 muffins. I’m glad you like the recipe! Enjoy! Just finished make these an boy a really they yummy! an so easy my Lil one is gonna lobe these. thank you for the recipe. Thumbs up! You’re welcome! 🙂 Thank you Nicole for such a nice comment! 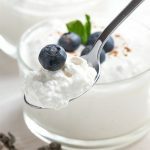 Looks like a great breakfast or snack with some yogurt. Thanks! Thank you for sharing this recipe! I can not wait to try this! Mine are in the oven right now! Can the muffins be frozen? Yes, muffins can be frozen. Enjoy! Currently baking them and they smell amazing! How should I go about storing the extras? My husband and I would like to eat them over the next couple days for breakfast. Thanks again for the recipe! Hi Jessica, you can store them 5 days. Enjoy! Can I use a mini cupcake pan instead? How long should I bake it for? Yes, you can use mini cupcakes pan. Bake them about 10 minutes or until golden brown. Good luck and enjoy! Made these last night. Thanks for sharing your recipe! They were so quick and yummy. You’re welcome Emma! 🙂 Thanks for sharing this nice comment! You’re welcome Lynn! 🙂 Thanks for sharing this nice comment! How many blueberries did you use? Thanks for sharing your recieppe with us, Lidia. I tried it yesterday, it was delicious. But today it got better. It is a perfect idea for a healthy breakfast. Hi Sheri, you can leave apple skin on, this won’t change the taste. Enjoy! Tnx for sharing. I’ve made them several times. Very easy to make. My family loves them.! Do u by any chance have the nutritional facts. Hi Nora, I’m glad you like it! Each muffin has 135 calories. Enjoy! I attempted to make it but was unsuccessful as I did not have baking powder it came out very dry and did not taste good. Is it important to use the baking powder??? Hi Marisol, it is very important to use baking powder. Better luck next time! Lidia, any particular kind of apple that is best? Hi Kelsey, I have used Fuji apple but you can use any kind you like the most. Enjoy! 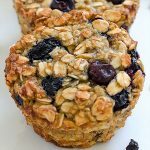 These are perfect for a quick breakfast when mornings are rushed! I tried with a honeycrisp apple and a Paula Red, and found that the Paula Reds were much better because they were softer. The crisp apples were okay, but just didn’t blend as well texture-wise. Just made the muffins. They are great. Thank you for sharing your recipe. You’re very welcome Anemarie! 🙂 I’m glad that you like the recipe! 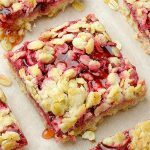 Would like to have nutritional breakdowns of recipe if available. Do I need to use baking powder?? Hi Hope, Yes you have to use baking powder. Enjoy! Can I use just the egg white for the recipe instead of the full egg? Hi Peg, I haven’t tried with egg white only, but I think it could work. Good luck! Just wondering how many cups 2 bananas equal for this recipe?? Hi Lynne, 2 mashed bananas are almost 1 cup. Enjoy! Hi Tracy, Each muffin has 135 calories. Enjoy! Can’t wait to bake these tonight! I do have one question and a dumb one. But what do you mean rolled oats. Is that a brand or a special kind of oat? Hi Genevieve, Old fashioned oats and rolled oats are the same thing. groat has been processed. This also results in each variety having a distinct texture and varying cook times. Rolled oats cook faster than steel-cut oats, absorb more liquid, and hold their shape relatively well during cooking. Rolled oats are commonly used in granola bars, cookies, muffins, and other baked goods. To be quite honest, I almost always only buy rolled oats so that way I can have either rolled oats, or make quick oats depending on what I’m making. For baking, regular rolled oats and quick cooking are usually interchangeable in a recipe. If your recipe calls for quick cooking oats and you only have old-fashioned rolled oats, pulse the old-fashioned oats in the food processor a few times. Rolled oats or old-fashioned are the oat rolled into flakes. This means the oils are stabilized, and the oats stay fresh longer. The larger surface area means they will cook more quickly than steel cut oats. I hope it helps! I had made these this afternoon. I would for sure make a few adjustments. These bad boys do the job, fill you up. i followed the recipe as written and i couldnt help but find these flavorless. 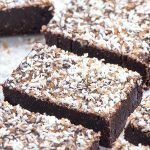 I would make these again as it would be a quick healthy breakfast/snack, but i would add either a small amount of chocolate chips or some sort of sweetener as the lack of flavor is hard to get by. They did come out very moist and cooked well, just needs a bit of flavor enhancement!! Thank you for such a nice comment Michelle! Are these low cholesterol? They sound yummy!! Don’t over bake the muffins. They turn out moist inside when just starting to brown on top. Poke a toothpick in the middle of a muffin to test for doneness. 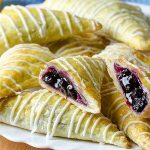 They are an easy breakfast and work well for a filling take-with-you snack! So good!